Many regions throughout Australia have been devastated by recent floods resulting in significant damage to property, infrastructure and safe water supplies. Davey Water Products has products for water disinfection and water treatment which are proving useful at this time. Davey offers the Steriflo UV as an alternative to manual dosing. It works by exposing the untreated water to high doses of ultraviolet light. The UV damages the DNA of organisms present in the water making them sterile and unable to reproduce. Dutka recommends installing Steriflo UV with Filterpure two stage pre-filtration for maximum UV transmissibility. 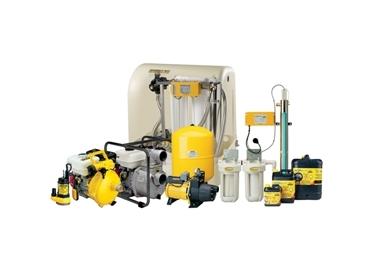 Davey Steriflo is suitable for domestic and commercial applications. Acquasafe Water Disinfection can be added to tank waters and can destroy over 170 types of bacteria and viruses, including water born worms and mosquitoes. For an all-in-one system, Davey offers the Aquashield Max which includes a Davey pump, Filterpure two-stage filtration and Steriflo UV. Neatly packaged in a weatherproof cabinet, Aquashield Max is suitable for rainwater, borewater or surface water supplies.